Neat’s re-entry into the USA via the CES show at the Ventian Hotel in Las Vegas was a significant success, with many industry figures expressing their admiration for a range of new Neat models which were making their US debut. 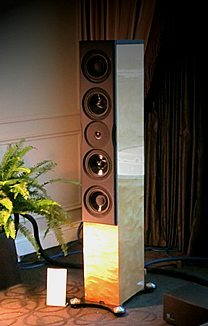 Jonathan Valin of The Absolute Sound nominated the Ultimatum XL10 (left) as runner-up in his ‘Best Of Show’ awards. Our grateful thanks to the folks from Runing Springs Audio, Conrad Johnson, and Paul Manos of High Fidelity Services, for their support.